I'm really excited to start the conversation on Intuitive Eating by sharing this guest post from the talented Taylor Wolfram, MS, RDN, LDN! Taylor is a fellow vegan dietitian who also coaches clients in Intuitive Eating, as well as working a day job in nutrition communications. 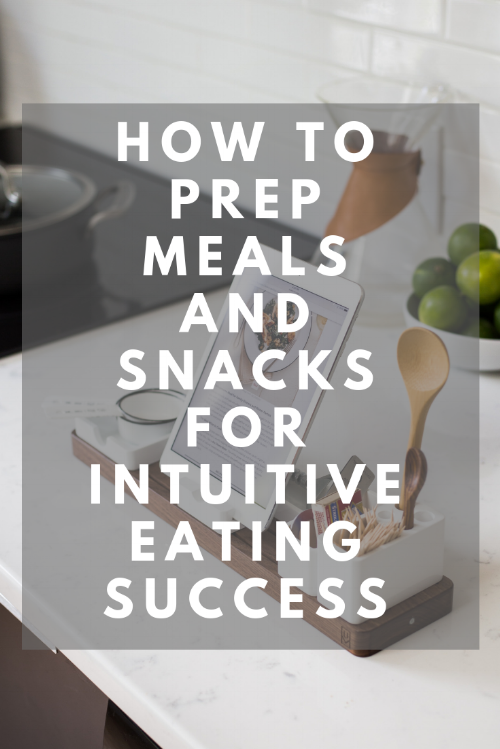 If you've ever wondered how meal planning fits in with Intuitive Eating, Taylor's post is a great introduction! This non-diet approach to eating was developed by two registered dietitians in the 1990s and continues to gain in popularity. Research shows intuitive eating can improve mental and physical health without stressing about food or focusing on body weight. The great thing about intuitive eating is there are no rules! The 10 principles of intuitive eating help you reject diet mentality and instill trust back in your body to tell you when, what and how much to eat. While intuitive eating is a journey and there’s really no such thing as “failing” at it, there are a few things you can do to set yourself up for success. In order to honor your hunger, you need to have access to tasty, nourishing food that you enjoy. This is where a little planning and prepping go a long way! Intimidated by the thought of meal planning and prepping? I get it. Contrary to what you might see on social media, it doesn’t require you to spend all day in the kitchen or plan out every morsel of food you’re going to eat for the week ahead. In fact, just a little extra effort can make a huge difference and help you stress less about food. This is the planning piece. Keeping a variety of food in the house is key to moving past restrictive eating and fulfilling your hunger and cravings. Think through the building blocks for satisfying meals and snacks, including grains, veggies, fruits, protein foods, calcium-rich foods and fun foods. When you’re writing your grocery list, jot down items in each category or food group that you know you enjoy and that can be mixed and matched in different meals and snacks. This is where the prepping comes in. If you know you enjoy rice and quinoa as the base to meals, cook batches of these grains and refrigerate or freeze so you can quickly create meals without having to wait for them to cook. The same goes for your favorite beans, veggies, etc. If it seems like you’re always short on time, this can really help prevent time from being an excuse as to why you aren’t able to feed your body what it wants. Whether it’s at the office, in your car or wherever else you spend your time, it’s important to ensure you’re able to eat when hunger strikes. Non-perishable snacks such as nuts, dried fruit and snack bars are great to toss in your bag and carry around with you. If you have access to a fridge or can keep perishable food cold with a cold pack in an insulated bag, dips and veggies and cut fruit are tasty choices. Whatever your favorite snacks, make sure you’ve got a reliable stock at all times! Taylor uses a non-diet approach to health and wellness and provides virtual lifestyle coaching to help clients prioritize self-care, ditch dieting and make peace with food and their bodies. It’s not news that eating more fruits, vegetables, and other plant foods is good for our health, but many of us are still not eating close to the recommended daily servings (5-9 servings a day of fruit and vegetables). Besides personal health, a plant-based dietary pattern can save you money on groceries and help protect the planet and animals used for food. Getting started doesn’t have to be complicated and you don’t have to overwhelm yourself and change everything overnight (unless that’s how you do things. In that case, go for it!). Here are some of my best tips for getting more plant-based meals into your weekly rotation. I’m sure you’ve probably heard the saying “if you fail to plan, you plan to fail.” It definitely applies to changing your eating habits! Planning ahead will ensure that when meal time comes around and you’re getting hungry, you’ll know what you're making and have your ingredients at the ready. Planning your meals at least a couple of days ahead of time will prevent you from grabbing take-out or eating chips and salsa for dinner because that’s what’s in your kitchen (guilty). Meal planning can be as simple as writing out what you’ll have on your calendar or notepad and then making a grocery list of the ingredients you need from there. Or you could print out meal planning sheets or use an app to keep track of everything. If you're just starting out with plant-based meals, pick one meal a day or one day a week to eat plant-based and increase from there once you've accomplished that goal. Meatless Mondays are a popular way of helping people eat plant-based at least one day a week. There are also several plant-based meal planning services, some paid and some free. Lighter, Forks Over Knives, EatLove, and Plant-based on a Budget are just a few. Explore them and find what works best for you. Plant-based food often has the stigma of being unsubstantial “rabbit food” or entirely different to what most people are eating but that isn’t the case. Anything omnivores eat, plant-based eaters can eat, too, with some simple substitutions. Are tacos your favorite? Swap lentils, veggie crumbles, seasoned tofu, or beans for the usual meat and top with cashew sour cream or guacamole. Love Indian food, burgers, mac and cheese, or BBQ? Check out my links for delicious, plant-based versions of all of these. Think about your current favorite meals and how you can make satisfying meat- and dairy-free versions. Get creative on your own or use cookbooks or recipe sites for inspiration. Minimalist Baker, The Full Helping, Vegan Richa, and Hot for Food are some of my favorite recipe blogs. As you use up your current stock, buy plant-based versions of your usual staples, like plant-based milks, cheese, ice cream, mayo and other condiments, etc. Know that plant-based versions usually won't taste 100% the same as animal products (many taste even better) and give your taste buds time to adjust. Try different brands and flavors. For example, if you didn't like the provolone-style dairy-free cheese, you may love the pepper jack; if one type of veggie burger is too mushy, try another brand next time. Keeping convenient foods stocked will help you throw together quick meals. Convenient doesn't have to mean ultra-processed, either. Having pre-washed salad greens, canned beans, nuts, seeds, tortillas/wraps, your favorite condiments and dressings, and fresh and frozen vegetables and fruit can make whipping up plant-based meals fast and simple. Meal delivery services seem to be springing up all over lately. 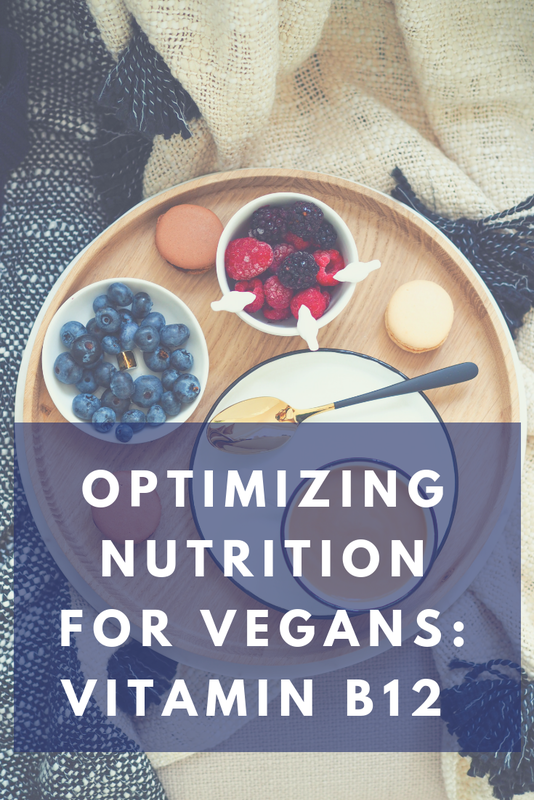 If you can afford this option, it can be a great way to try new plant-based meals without the hassle of digging up recipes and grocery shopping yourself. Some services deliver premade meals that you just have to heat up when ready to eat and others deliver recipes and ingredients for you to cook. Two companies that offer plant-based meals are Purple Carrot and Hungry Root. If you’re on Facebook, there are several groups and pages that share plant-based recipes. I searched “vegan recipes,” “plant-based recipes,” and “whole food plant-based recipes” and came up with dozens of groups! This can be helpful for finding tried and true recipes before you spend your hard earned cash on ingredients for a new recipe that may turn out to be not-so-great. In person or online, there’s no better way to learn than by hands on cooking. Check your local Whole Foods, culinary school, Sur la Table, and community ed classes for vegan cooking classes. Online options include Forks Over Knives, JL Fields, and if you’re really serious about mastering your culinary skills, you can get a professional certification in plant-based cooking through Rouxbe! (feel free to ask me questions—I completed this training in 2015). You can also find free cooking demos on YouTube. If cooking isn’t really your thing, or you just want to treat yourself, check out Happy Cow to see what restaurants in your area have vegetarian and vegan options. So many restaurants these days have at least one or two things on the menu plant-based eaters can choose from. Even better is to try fully vegan restaurants and be amazed (and sometimes overwhelmed) at all the choices! Having the support of friends and family can make healthy eating easier and so much more fun and open others to new foods, too. You could try having a theme like vegan BBQ, holiday foods, dishes inspired by a favorite movie or show, a regional cuisine, etc. There is no limit to your creativity with this! 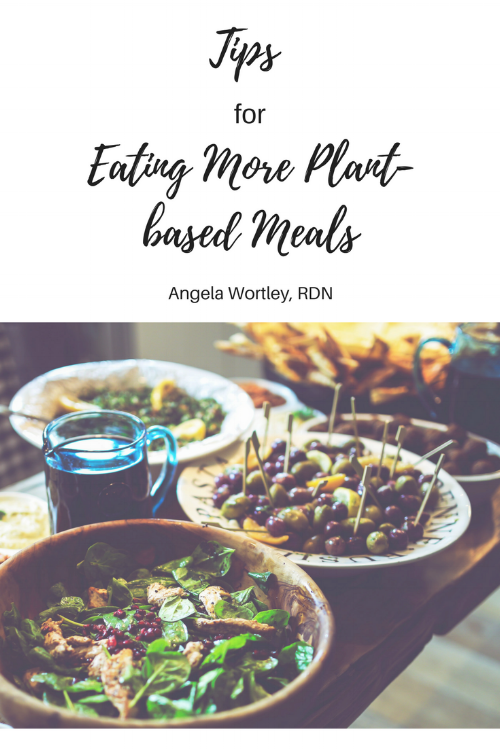 Whether you intend to eat 100% plant-based or simply up your plant food intake, I hope you found some helpful information to get started. Please post your questions and tips below or contact me. I'd love to help guide your way to satisfying, healthful plant-based eating! On this last day of National Nutrition Month, I thought I’d write about what a Registered Dietitian/Registered Dietitian Nutritionist (RD or RDN) is and what we do (and maybe a little about what we don’t do). From some of the questions and responses I’ve gotten when asked what I do, I have a feeling many people are confused about our role if they even knew we existed in the first place! People have asked me to make them a meal plan (for free, of course), what trendy diet I think is best, to not look at what they’re eating because they think I’ll judge them, if eating x food is bad, and if they should buy x supplement or shake for weight loss. This tells me RDs have an image problem of being the food police or diet pushers and I want to help destroy those stereotypes! This post doesn't encompass all possible areas of nutrition careers, but hopefully it gives you a better idea of what RDs who see people one-on-one do (and that it's so much more than telling people what to or what not to eat). RDs have at least a bachelor’s degree in dietetics and nutrition from an accredited university (a master’s degree will be required for entry-level RDs in a few years) + 1200 or more hours of supervised practice in clinical, community, and food service nutrition, and have to pass the national registration exam before being eligible to practice. We learn behavior change skills, biochemistry, anatomy and physiology, nutrient metabolism, therapeutic nutrition for many conditions, traditional foods of various cultures, drug and nutrient interactions, food safety, nutrition policy, and SO MUCH more. This is what distinguishes our training from a “nutritionist” or "health/nutrition coach" which aren't regulated titles. Similar to doctors, we can be general practitioners, seeing people for a variety of nutrition concerns, or specialize in areas like pediatric, renal, oncology, cardiac rehab, digestive health, or diabetes. Some of us branch out from hospital or clinic jobs into private practice and create our own unique specialties, seeing clients in an office or virtually through secure video conferencing. Some of my RD colleagues in private practice specialize in skin care, food sensitivities, Intuitive Eating, eating disorder recovery, blenderized food for tube feedings, lactation consulting, and plant-based nutrition. Our jobs are as varied as there are nutrition needs! During an appointment, we’ll look at your health history, labs, medication and supplements, what you typically eat, your food likes and dislikes, and other important info, ask you questions to clarify information and determine your goals, work with you to come up with a plan, provide resources and handouts if necessary, and support you through follow-up appointments. Most of all, a good RD will really listen to you. We have the benefit of longer appointment times so you're not rushed like it can feel at a doctor appointment. Behind the scenes, we’re working on education materials, keeping up with the latest research, taking courses or attending seminars for continuing education, communicating with your doctor or other members of your healthcare team, and typing up notes. 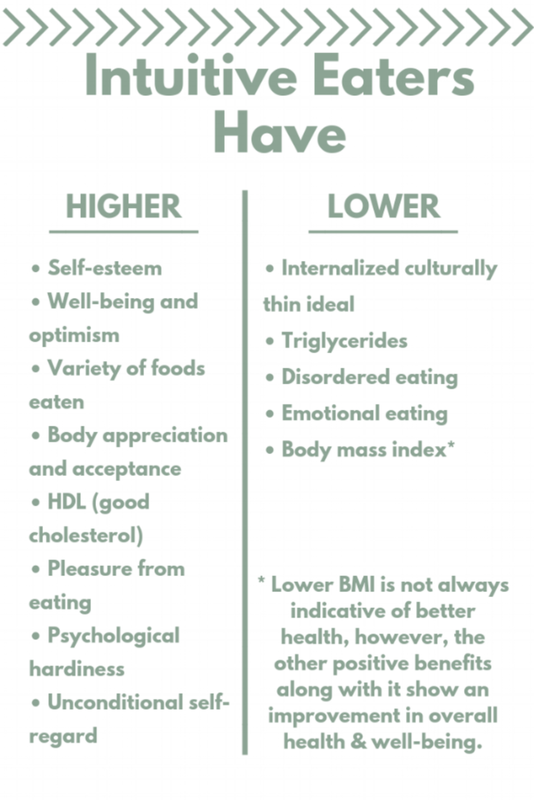 With the word “diet” being a part of our title, I know it can be confusing, but our focus is less “dieting” to lose weight and more your diet as in overall pattern of what you eat and how that can affect your health and nutrition status. Some RDs absolutely work with people who want to lose weight, but that’s just a small part of our skill set. Many RDs don’t offer weight loss as a service at all and are pushing back against diet culture, weight stigma, and helping people recover from damage long-term dieting can cause. Food is only one piece of the health puzzle and focusing too much on weight and calories aren’t healthful behaviors. I’ve had many people be surprised that I actually helped them expand the amount and types of foods to eat instead of restricting all their favorite things like they were expecting. Seeing an RD legitimately changes people's lives for the better! I might be biased, but from my own experiences and hearing about others, it's true. RDs have helped so many people deal with difficult and painful digestive issues, reduce or eliminate medications (under a physician's supervision), lower their cholesterol or blood pressure, find foods they could eat when they have food allergies or intolerances, feed picky kids, recover from an eating disorder, stay nourished through cancer treatment, and so many other scenarios. It's always my goal and I feel so fortunate to be in this field when someone tells me I helped them solve a problem. Should You See an RD? If you want expert, individualized advice sorting out a health issue or just want to learn how to eat better, then absolutely! Many RDs offer a free consultation call so you can see if you're a good fit to work together. Seeing an RD one-on-one is usually so much more effective than reading a popular diet book or following a general plan that will probably not meet your individual needs. RDs can help you cut through the misinformation that is so common in the media and popular wellness culture, come up with an action plan to help you meet your health goals, and support and encourage you through it. So, Will I Make You a Meal Plan?